Signed and dated (lower right): B. M./R.H.A./-36 Inscribed in pencil on the back: Mulrenin RHA 1836. Inscribed on a label, formerly on the back of the miniature: Daniel O'Connell Esqr. M.P. & - /Bernard Mulrenin R.H.A./Dublin/ Painted in/1835 [sic]/No. 1. W. G. Strickland, Dictionary of Irish Artists (1913), II, 151. Fair complexion, greenish(?) eyes, brown hair. 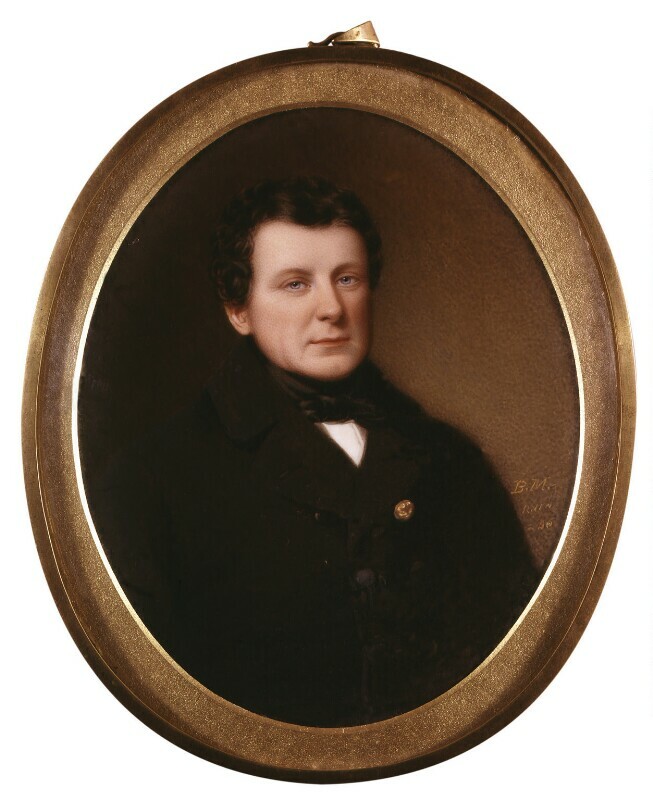 Dressed in a black stock and neck-tie, white shirt, black coat with black buttons and one brass one (upper right). Background colour various tones of brown and greenish-grey. The artist, purchased from him, 1866.